Mini-batch gradient descent: Use b examples in each iteration. Represents a classification model that predicts to which of a set of categories an example belongs. The categories are represented by double values: 0.0, 1.0, 2.0, etc. Classification model trained using Multinomial/Binary Logistic Regression. Train a classification model for Multinomial/Binary Logistic Regression using Limited-memory BFGS. Train a classification model for Binary Logistic Regression using Stochastic Gradient Descent. Trains a Naive Bayes model given an RDD of (label, features) pairs. Model for Naive Bayes Classifiers. 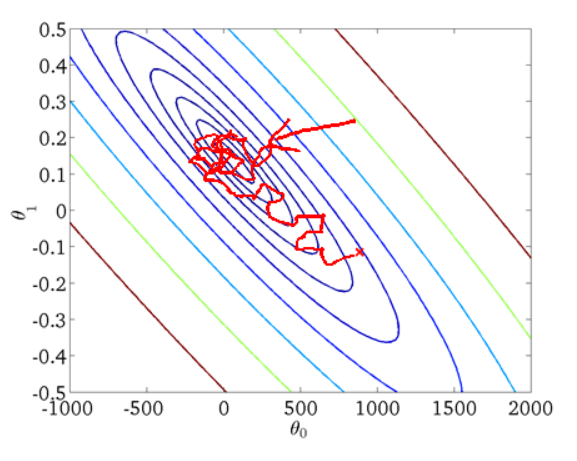 Model for Support Vector Machines (SVMs). Train a Support Vector Machine (SVM) using Stochastic Gradient Descent. Train or predict a logistic regression model on streaming data. Top-level methods for calling naive Bayes. Top-level methods for calling SVM. Top-level methods for calling Logistic Regression using Stochastic Gradient Descent. Binary Logistic regression results for a given model. Decision tree model (http://en.wikipedia.org/wiki/Decision_tree_learning) for classification. Decision tree learning algorithm (http://en.wikipedia.org/wiki/Decision_tree_learning) for classification. Gradient-Boosted Trees (GBTs) (http://en.wikipedia.org/wiki/Gradient_boosting) model for classification. Gradient-Boosted Trees (GBTs) (http://en.wikipedia.org/wiki/Gradient_boosting) learning algorithm for classification. Abstraction for Logistic Regression Results for a given model. Abstraction for multinomial Logistic Regression Training results. Classification model based on the Multilayer Perceptron. Classifier trainer based on the Multilayer Perceptron. Reduction of Multiclass Classification to Binary Classification. Random Forest model for classification. Random Forest learning algorithm for classification.